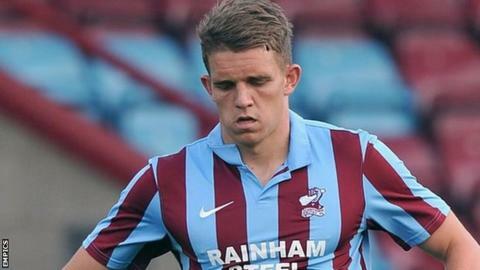 Alfreton Town have signed centre-back Callum Howe on a three-month loan from League One side Scunthorpe United. Howe has not yet made his debut for The Iron but has recently been on loan with the Reds' Conference rivals Gateshead, scoring once in two games. The 20-year-old has also gained first-team experience while on loan with Conference North sides Bradford Park Avenue and Gainsborough Trinity. He is available for Saturday's league game away against Welling United.